Are You Suffering From Liver Pain? Formula for Liver is one of the best liver cleanse products & herbal supplements that help promote liver damage healing against alcoholic and non alcoholic fatty liver disease. This natural liver cleanser contains quality vitamins and herbs that help maintain liver functions and improve liver health. In order to obtain the best possible health, the liver must be maintained and strenghthened as continuous expererience of harmful environment can weaken the liver and cause health problems. Formula for Liver is carefully formulated to naturally clean the liver from denvironmental pollution, unhealthy diet, smoking, harmful toxins, prescription drugs, and other symptoms of liver pain & diseases. It is one of the best alternative liver disease cures. Alcoholic liver hepatitis or cirrhosis involves an acute or chronic inflammation or pain of the liver induced by excessive alcohol use. However, Howard J. Worman, M.D. stated that alcoholic cirrhosis also can occur in patients who have never had evidence of alcoholic consumption. Non alcoholic fatty liver disease refers to a wide spectrum of liver diseases from fatty liver (accumulation of fat in the liver) to non-alcoholic steatohepatitis (fat in the liver causing liver inflammation, liver burning), to cirrhosis (irreversible, advanced scarring of the liver). Why Improving Liver Health is so Important? Do You Need a Liver Detoxification? If you say YES to the below Signs & Symptoms of Alcoholic Liver Disease, then Liver Formula can Help! Do you suffer from unexplained fatigue or depression? Do you have dark circles under the eyes? Do you have many food and chemical sensitivities? Do you have monthly PMS with nausea or shakes? Do you have liver spots or itching liver disease? Furthermore, scientists at New York University School of Medicine has discover another important function of the liver - It actually Defends the Body. The scientists found that the body defense cells continuously search the liver's blood vessels for infected cells, bacteria, and foreign molecules and then immediately dispose these harmful matters. The discovery of the defense cells exist within the liver shows the importance of liver health. To be able to continuously filter out the harmful toxins and foreign molecules from your blood, this vital organ must be at top shape to carry out its full responsibilities. Once the liver is damage, it's very difficult to maintain healthy defense system to combat diseases. What Can You Do to Maintain a Healthy Liver? Formula for Liver, an effective herbal remedy for liver damage, provides a balance detoxification process of well-researched natural herbs such as Milk Thistle & Shisandra extract. This liver cleansing recipe also contains a complementary blend of vitamins, minerals, and amino acids to help accelerate the natural liver clense activities, eliminate harmful toxins, and promote & maintain healthy liver cells' function. Support by modern-research to improve liver health! All of our vitamins and natural ingredients are top quality and certified by our laboratory for safety and potency for healing fatty liver. Furthermore, all the herbs in our products are going through a special extraction & manufacturing process to deliver at least 4 to 20 times higher potency than ordinary herbs. But there are more.....some of our ingredients are further processed to contain the only standardized Active nutrient that makes the herb more powerful. Example: our Milk Thistle is extracted and standardized to have a minimum of 80% of active compound Silymarin. Silymarine has the capability to increase the liver's Glutathione GSH level thus making it a potent antioxidant in the detoxification process against free radicals that caused damage to the body cells. Therefore, the formula has a proven history of working very quickly to reduce liver pain. Formula for Liver, one of the top supplements for fatty liver, is the only effective Double Action Formula in the market! It offers a safe and healthy healing for fatty liver disease, liver pain, and liver disorder. German Commission E has approved the seeds of Milk Thistle as an alternative treatment for liver inflammation and liver problems such as hardening of the liver (cirrhosis), liver cancer, and other liver pain condition caused by alcohol and other toxic chemical. Milk Thistle�s seeds are extracted to be an active phyto-compound called Silymarin as it is found to be effective in improving liver health and reduce liver pain. In our proprietary complex, milk thistle is standardized to have a minimum of 80% Silymarin. Milk Thistle's Silymarine is an important herb for the liver as it has the capability to increase Glutathione GSH level in the liver thus making it a potent antioxidant in the detoxification process to neutralize toxins and harmful free radicals. and inhibit production of bad enzymes that might damage the liver while prevent the depletion of glutathione on liver cells. The benefits of milk thistle can help support liver health functions from the abuse of alcohol and environmental pollution. In addition, it can help cleansing the liver, reducing liver pain, rejuvenate the over-worked liver and possibly even protect it from future damage. It's one of the best liver cleanse foods. Under Evidence-based Practice Program among studies of milk thistle and chronic alcoholic liver disease, it reported significant improvement in measurement of liver health function (i.e., aminotransferases, albumin, and/or malondialdehyde). Physicians have prescribed milk thistle, the best herb for liver function, for hepatitis treatment to keep down inflammation, for cirrhosis treatment to soften the liver, for liver cancer to aid in liver detoxification, and for many dysfunctions of the gall bladder system. It also helps protect the liver for those individuals that are taking prescription medications known to elevate liver enzymes. Artichoke (Cynara Scolymus) leaf is the best liver cleanser and is listed as an approved herb in a liver cleansing diet plan by German Commission E . It has been shown to detox and improve liver health, heal fatty liver as well as protect the liver cells from free radicals damage. It is an potent antioxidant that helps the body filtering out harmful toxins in the liver and maintain healthy cholesterol levels. Artichoke enhances the production of bile where many toxins will be eliminated. Bile plays an important role by protecting the liver from congestion and inflammatory responses. It also create the right kind of environment in the small intestines. This combination of benefits is very important in improving liver health functions. For a long time, artichoke has been used for liver, kidney and gallbladder conditions as well as 'cleaning' the blood. The Egyptians highly prized it as the best natural way to clean liver & kidney and Plinius described it as the 'food for the rich' because of the health problems contributed to a 'rich' life style - excessive in rich foods, fats and wine that led to alcoholic and non alcoholic fatty liver diseases such as cirrhosis, or other liver disease symptoms such gout and jaundice. It is known to positively help poor liver function (thus helping to lower the blood cholesterol), arteriosclerosis, and gout. It also supports the treatment of alcohol hepatitis and improves the gall secretions. It may help lower blood glucose level, promote healthy digestive system, stimulate appetite, reduce migraine problems, and improve healthy skin..
Artichoke's benefits in the treatment of digestive liver disorder and its cholesterol-lowering properties are both related to its effects on the liver. Evidence from numerous studies indicates artichoke directly inhibits the production of cholesterol by the liver. Artichoke leaf extract enhances bile secretion by increasing the number and size of bile vesicles within the liver. In studies investigating antioxidant effects in cultured liver cells, artichoke extract protects cells from damage in part by preventing loss of glutathione, a naturally occurring antioxidant that plays an essential role on neutralizing toxins. 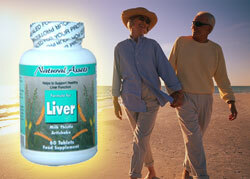 Order this Natural Enlarged Liver Treatment Without Risk Today! Natural Healing for Liver Pain! Dandelion (Taraxacum officinalis) is a general stimulant to the system and is chiefly used in kidney and liver cleansing. It strengthens the liver by promoting bile secretion and provides a gentle cleansing action in the elimination of waste. It's considered one of the best kidney liver detox herbs. Dandelion leaves and roots have been used for centuries to treat liver complaints, poor digestion gall bladder, kidney, joint problems, and alcoholic liver disease (alcohol hepatitis). In some countries, dandelion is considered a blood purifier and is used for ailments such as eczema and cancer. "Curcumin has been used for thousands of years as a safe anti-inflammatory in a variety of ailments as part of Indian traditional medicine," Gregory Cole, Professor of medicine and neurology at the David Geffen School of Medicine at UCLA said. Treatment with curcumin restored physiologically-relevant levels of protein function. It also protects the liver from a number of toxic compounds. Curcumin has been shown to reduce platelets from clumping together, which in turn, improves circulation and helps protect against atherosclerosis. Numerous studies have also shown cancer-preventing effects of curcumin. This may be due to its powerful antioxidant activity in the body. The best liver cleanser with Nature & Science! Green Tea (Camellia Sinensis) leaf extract contains powerful antioxidant compounds that inhibit free radical reactions. Green tea is one of the alternative liver cleanse foods that help diminish the number of harmfull compounds created by oxidative liver enzymes. In May 2006, researchers at Yale University School of Medicine theorized that the 1.2 liters of green tea that is consumed by many Asians each day provides high levels of polyphenols and other antioxidants. These compounds may work in several ways to improve liver health and cardiovascular health. Population studies also support the benefits of green tea in maintaining heart and liver health. In one study of Japanese people over 40 (with more than 10 cups daily consumption of green tea) identifies with lowered of cholesterol and triglycerides, and with liver-protective effects, based on assessments of enzymes that indicate liver damage. Schisandra is an adaptogen and antioxidant that helps enhance the detoxication process of liver pain symptoms such as hepatitis, unhealthy liver function, and iver damage from chemical. Minor side effects include headache, indigestion, heartburn. Schisandra works quite well with other hepatoprotective herbs such as Milk Thistle, Garlic, Green Tea, Turmeric and antioxidants such as grape seed. Vitamin E is a potent antioxidant. The B Vitamins for liver health are necessary to effeciently absorb & digest nourishing substances. They help the liver in the metabolism of fats, carbohydrates, and protein. B vitamins must be replenished daily since excess is excreted as alcohol & caffeine consumption, smoking, excessive sugar in addition to environmental stress can decrease the body's B vitamins. Vitamin B6 has a mild diuretic action and helps in the body's process of eliminating toxins. It's an essential B vitamin needed for the body to assimilate protein and fat. Inositol is another member of the B family vitamin that's part of a diet plan for fatty liver and plays a role in the body's fat metabolism to reduce fats buildup in the liver. Choline is essential in a fatty liver diet that help reducing the buildup of fats in the liver. Licithin is formed by the combination of Inositol & Choline to break down cholesterols and secret out of the body's bloodstream. NAC helps to detoxify ammonia, a byproduct of protein digestion that can accumulate when the liver is not functioning properly. 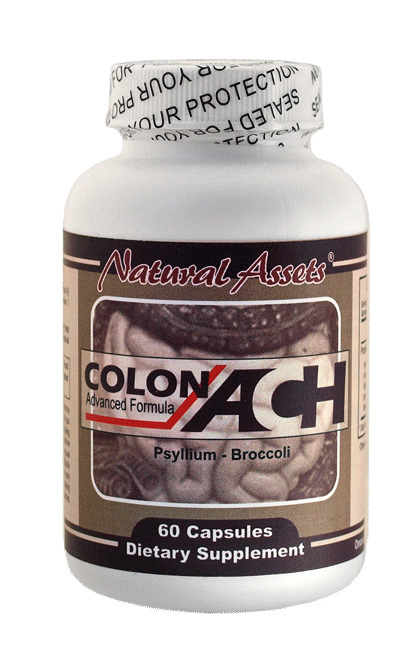 ColonACH (advanced colon health) is a best natural colon cleansing diet & therapy that promotes and maintains healthy colonic functions that neutralize colon parasites & toxins in the intestines, promote healthy constipation relief, increase the antioxidant property of colon cells against radicals that cause cancer, enhance the digestion and absorption of nutrients, boost the immune system, and reduce gas bloating in the intestines. What are the signs and symptoms of alcoholic liver disease? Do not waste your money on other promised liver disease cures and liver cleanse foods that just have minimal effectiveness. Formula for Liver is guaranteed to relieve your fatty liver pain or you get your money back! Suggested Use: For adults only. Take one tablet / capsule with food, two to three times per day. Our powerful liver cleansing herbs & natural nutrients help improving liver health, detoxify blood impurities & wastes, accelerate toxin elimination and encourage regeneration of damaged tissue. Sluggish digestion and fatigue usually improve right away. Healthy liver's defense cells shall monitor liver's blood vessels for bacteria, and foreign matters and then quicly remove them. Help reduce the signs & symptoms of alcoholic liver disease and non alcoholic fatty liver disease. Formula for Liver is a best natural cure for liver disease that helps promote liver damage healing and reduce the signs and symptoms of alcoholic and non alcoholic fatty liver disease. It's a part of a liver cleansing diet recipe that contains quality vitamins and best herbs to maintain healthy liver functions, improve liver health and reduce liver pain.